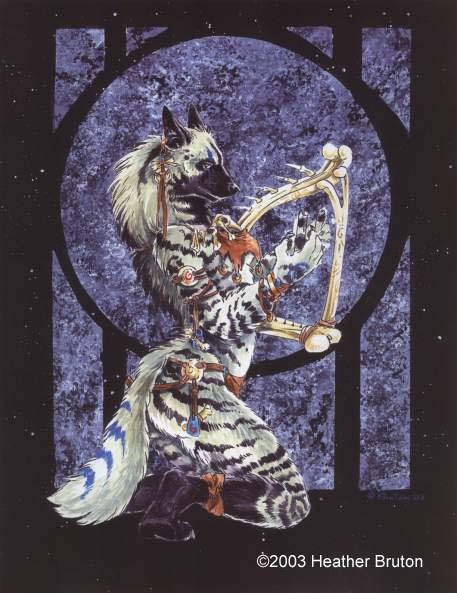 Heather Bruton did this wonderful painting of a hyena playing a bone harp (makes sense, doesn't it?) She graciously allowed me to post it here! Thank you Heather! Please visit her website for more wonderful art! Please note that this drawing is © 2003 Heather Bruton. Do not use it without her permission.